Travel Food Services (TFS), India's leading Travel F&B and Retail Company, won big at the prestigious India Food Forum 2019 yesterday, to take home three awards for The Irish House at Terminal 3, IGIA, Delhi Airport, and its in-house concepts -Dilli Streat and Raildhaba. The awards, which were held at Renaissance Hotel in Mumbai, were announced by IMAGES Foodservice Awards 2019 on the second day of India Food Forum 2019. 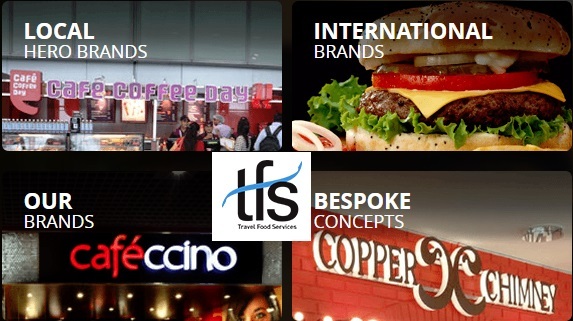 Travel Food Services (TFS) is India's leading travel F&B and Retail Company, with more than 300 outlets across travel-hubs including Airports, Railway Stations and Highways spread across 19 cities. With major concessions across key airports including Delhi, Mumbai, Chennai, Kolkata and Bengaluru, TFS has been transforming travel experience for over 75 million passengers every year through a variety of cuisines across its diverse formats of restaurants, cafes, bars, food courts and lounges.